Electronics giant Foxconn announced Monday it had started an investigation after a labour group alleged illegal working conditions at one of its Chinese factories producing Kindles, tablets and smart speakers for Amazon. The investigation by US-based China Labor Watch found a series of problems including inadequate worker training and overtime pay, excessive overtime hours beyond limits set by Chinese law, and verbal abuse of workers by management. "All workers are subject to long hours and low wages," the report said, noting workers at Foxconn's plant in the central China city of Hengyang made an average of $2.26 per hour. Taiwan-based Foxconn has long faced allegations of poor treatment of its hundreds of thousands of employees in China. It attracted widespread scrutiny after a spate of worker suicides at a plant in southern China making Apple products several years ago. China Labor Watch's investigator worked on the factory's night shift, brushing dust off Alexa Echo Dot speakers from 8 p.m. until the small hours of the morning. "After 6 a.m., I fell asleep on the assembly line," the investigator wrote, noting the factory floor was hot and humid and workers needed permission to leave their chairs for the bathroom. When the shift finished, workers retreated to dormitories crowded with six bunks. Pictures showed primitive living conditions. 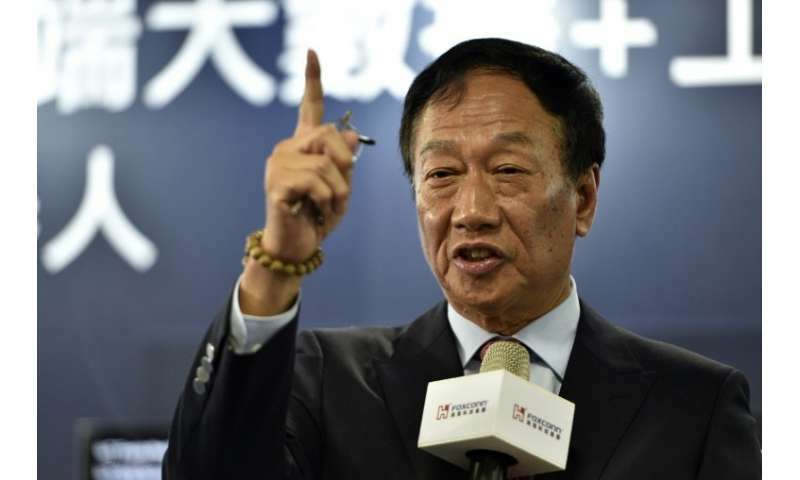 "Our company has already started a comprehensive investigation, if any irregularities are found, we will immediately improve and correct them, and safeguard our company's corporate social responsibility," Foxconn said in a filing to the Taiwan stock exchange. The investigation found workers put in 100 hours of overtime per month during peak periods, vastly exceeding the 36 overtime hours allowed by Chinese labour law, and used middle-men labour companies to provide 40 percent of workers so they were not directly employed by Foxconn. The tactic allows factories to dodge some provisions of China's labour laws, critics say. "Because I hadn't slept enough, my face and eyes were all swollen," the investigator wrote. "My hands never stopped moving."